Yes, I’m clearly on a lemon kick this week — maybe it’s wishful thinking as we keep hoping for spring to finally show up? Hope you’re not quite sick of lemons yet, though, because I just had to share this simple 15 minute vegetarian recipe I recently threw together as a lighter, yet still filling meal. 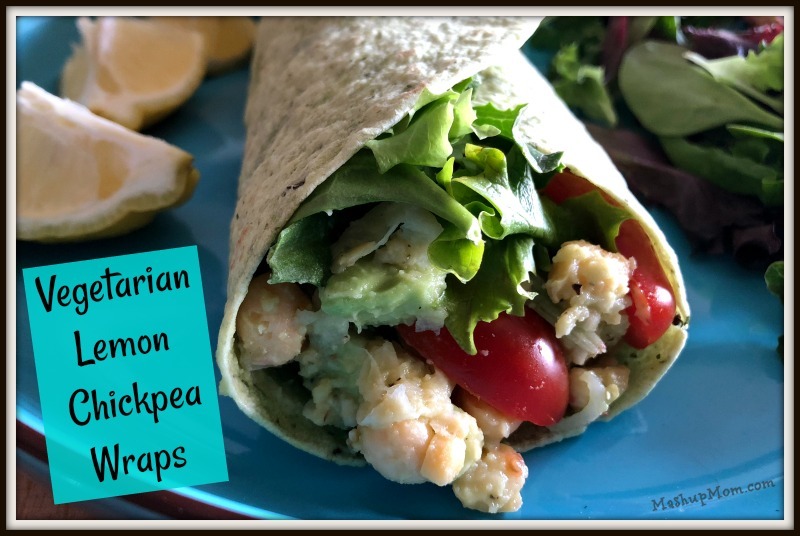 Presenting: Vegetarian Lemon Chickpea Wraps! Enjoy these easy vegetarian wraps on your next Meatless Monday, or throw them together for a quick & protein-packed lunch. Recipes don’t always have to be complicated or time-consuming to pack a lot of flavor. Note also that these easy chickpea wrap sandwiches are entirely vegan if you use vegan wraps — I’m just calling mine vegetarian in the interests of strict disclosure, since the spinach wraps from ALDI that I used here have a warning that they “may contain” milk. Looking for more vegetarian recipes? Browse through the Meatless Monday category to find additional meatless dinner ideas. 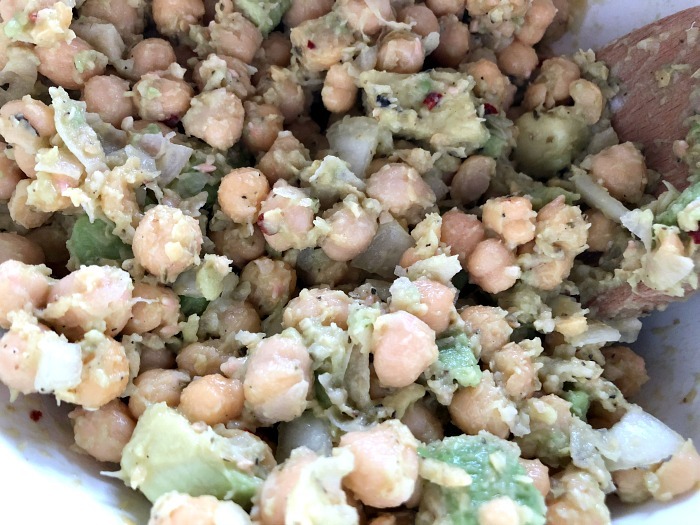 Mix the avocado, onion, lemon juice, olive oil, garlic, and spices into the bowl with the chickpeas. At this point, taste your chickpea mixture to see if you want to add a bit more lemon juice or spices to taste. Assemble your wraps by spooning some of the chickpea mixture down the center of each, then adding sliced grape tomatoes and lettuce. 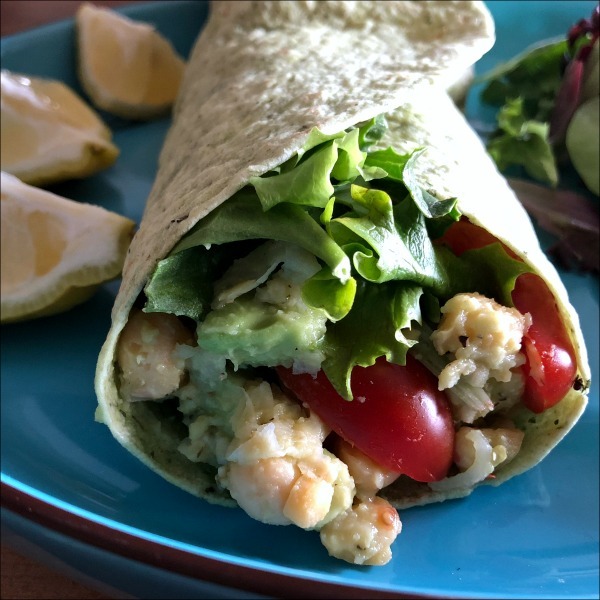 Roll up your chickpea sandwich wraps… and enjoy! 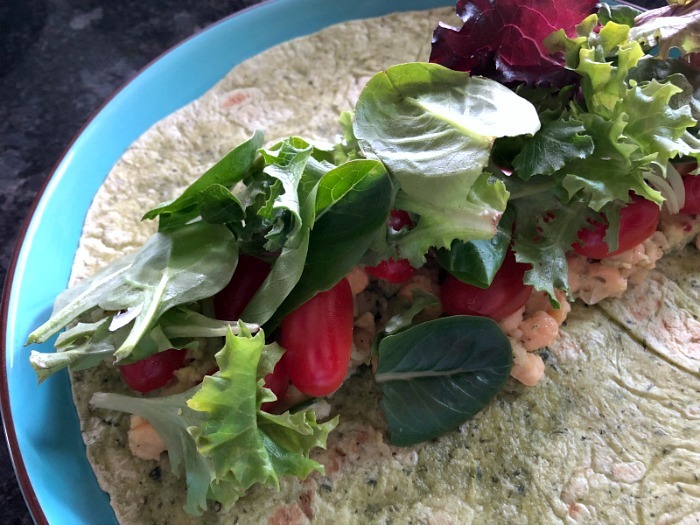 Note: While the wraps I used here “may contain” milk, because they’re made on shared equipment, the recipe itself is vegan if the wraps you choose to use are. 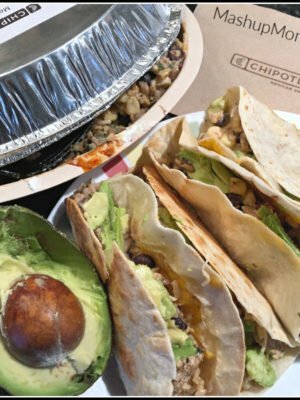 You could also omit the wraps and just enjoy the chickpea mixture over lettuce as a grain-free dinner salad — There are lots of ways to tweak this basic recipe to match your family’s needs. 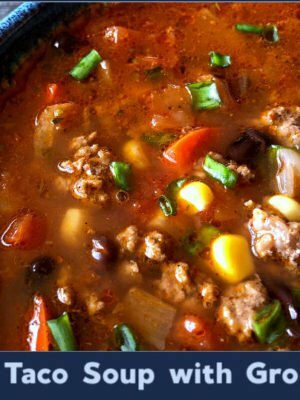 That’s an easy 15 minute weeknight dinner! 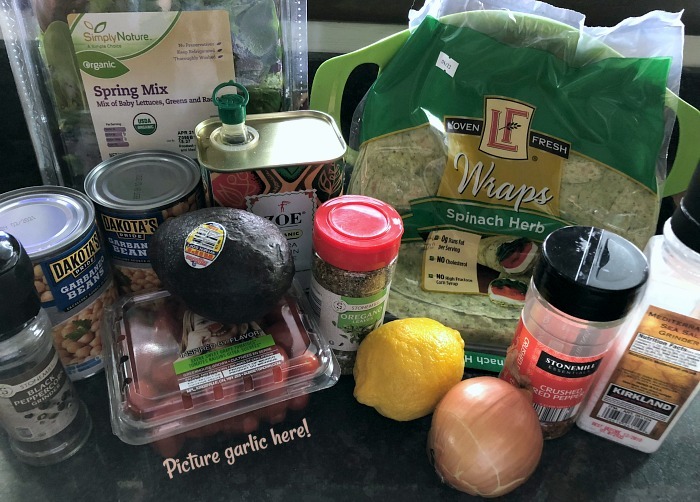 These easy and affordable lemon chickpea wraps are so simple to throw together with a few veggies + pantry staples on a night when you’re pressed for time or just want something light. They’d be a perfect way to pack in your veggies on a hot summer’s day, but still did the job nicely on this chilly almost-spring evening. Granted: You can’t really go wrong with lemon, garlic, and chickpeas, right? 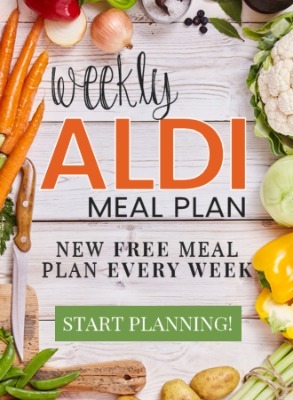 (And, you equally can’t go wrong with an easy 15 minute weeknight dinner recipe!) But all the other ingredients do work together so nicely here to enhance these basic garlicky beans: The avocado brings in some creaminess to help your wraps from seeming dry, the oregano and crushed red pepper add just a little bit of spice, and the lettuce and tomato give some welcome cool contrast. Enjoy these easy vegetarian wraps on your next Meatless Monday, or throw them together for a quick & protein-packed lunch. Recipes don't always have to be complicated or time-consuming to pack a lot of flavor. 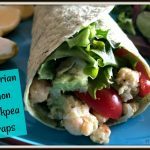 Assemble your wraps by spooning some of the chickpea mixture down the center of each, then adding sliced grape tomatoes and lettuce. Roll up your chickpea sandwich wraps... and enjoy! While the wraps I used here "may contain" milk, because they're made on shared equipment, the recipe itself is vegan if the wraps you choose to use are. 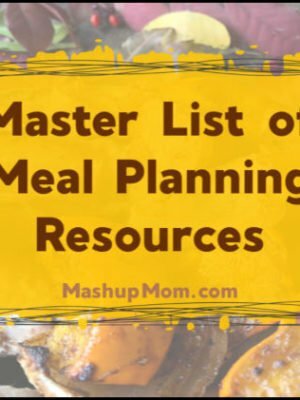 You could also omit the wraps and just enjoy the chickpea mixture over lettuce as a grain-free dinner salad -- There are lots of ways to tweak this basic recipe to match your family's needs! Would the chickpea mixture last a few days in the fridge? It would be such a easy and healthy quick lunch! We loved this one. Not a single change to the recipe was made. Enjoyed the flavors and texture. 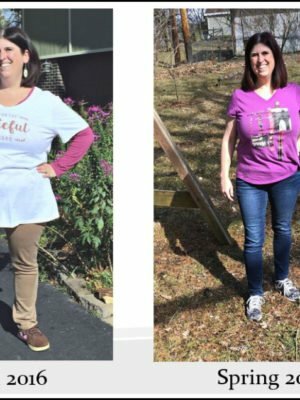 So easy to put together, too. We served it with a side salad and some macaroni salad. Perfect for a simple supper. We will be trying this tonight, the weather has finally warmed up in Michigan so we’ll be eating outside! I was skeptical that my carnivores would like or even eat this… but they both gave audible “Yums” and one is even going for seconds!! My family really liked it. It had good flavor. The kids liked it. Hubby added some chicken to it because he likes his meat.